Global markets are fast moving, complex and evolving continuously. Here high-quality professional education is vital to maintain performance. At London Financial Studies we concentrate exclusively on capital markets. We offer individuals, teams and companies a unique and expert teaching resource that combines theoretical understanding with practical experience and equips them to operate at the highest levels of efficiency and profitability. Over the past two decades London Financial Studies has become widely acclaimed as one of the best teaching resources for capital markets practitioners. Over that time we have delivered a diverse range of programmes to individuals, major financial institutions and government bodies worldwide. The London Financial Studies ethos of combining excellent and effective teaching grounded in sound theory as well as relevant and practical real-world experience is a direct result of the experience of the founder, David Cox. 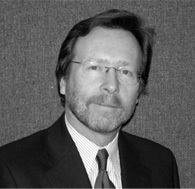 During his career in banking, he became aware of the acute need for high quality teaching relating to capital markets. After leaving the City he joined the London Business School and set out to develop techniques and materials to meet this need. The result was a series of short courses for practitioners: The Financial Markets Seminar Programme. London Financial Studies has refined the approach and uses the same methodology throughout its programme. What we teach is soundly based in current best practice. 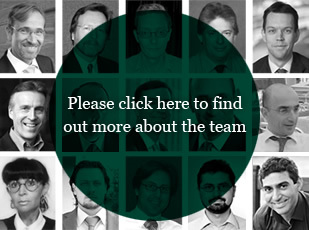 Our teachers have extensive practical experience in relevant capital markets. Our teachers are first class communicators and acknowledged experts in their fields. They combine extensive practical experience with profound theoretical understanding. As skilled communicators, they get the message across quickly and effectively. Course exercises deliver effective practical learning that participants remember long after leaving the classroom. We try to understand the needs of each person and structure courses and packages of real benefit to them. All our teaching groups are small enough to enable individual needs to be assessed and met continually. We understand the commercial environment in which our clients operate. What we teach them delivers tangible benefits to their personal performance and to the bottom line of their companies. LFS is recognised by leading professional associations as providing executive education of the highest quality. The Institute of Banking and Finance - Singapore. London Financial Studies courses are FTS-Eligible* and also eligible for CPD hours. This programme is approved for listing on the Financial Training Scheme (FTS) Programme Directory and is eligible for FTS claims subject to all eligibility criteria being met. Please note that in no way does this represent an endorsement of the quality of the training provider and programme. Participants are advised to assess the suitability of the programme and its relevance to participants’ business activities or job roles. The FTS is available to eligible entities, at a 50% funding level of programme fees subject to all eligibility criteria being met. FTS claims may only be made for programmes listed on the FTS Programme Directory with the specified validity period. Please refer to www.ibf.org.sg for more information.